It was a reference to Ironman’s historically stormy relationship with the sport’s governing bodies, race directors, sponsors, media, and even the athletes themselves. Under the company’s former leadership of eye surgeon owners James and Pit Gills, and former CEO Ben Fertic, the company developed a reputation of being secretive at best, arrogant and tone-deaf at worst. Messick, installed as CEO last May by the Providence Equity Partners’ Group that purchased WTC from the Gills family in September of 2008 just days before the Lehman Brothers bankruptcy triggered the recession, has spent his first year mending fences and boosting a brand that for all of its financial success remains under the radar in the sports world. 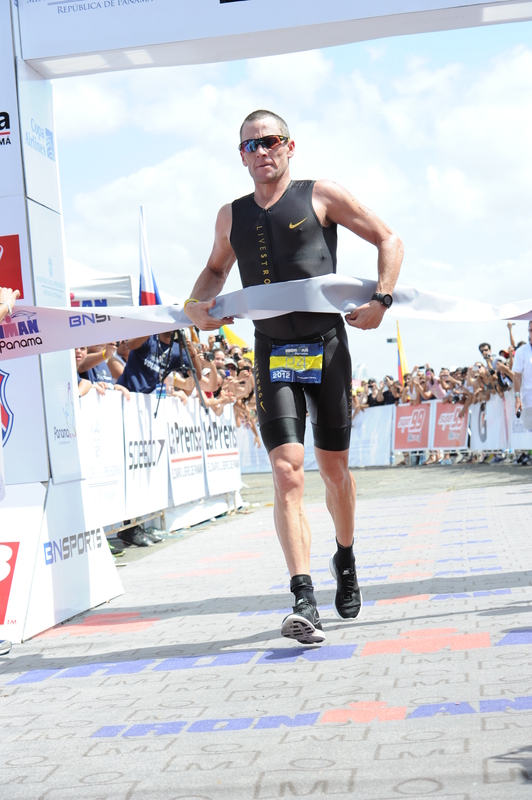 A two-time Ironman finisher, the 48-year-old Messick came to WTC after four years as president of AEG Sports, where he oversaw such iconic endurance events as the Amgen Tour of California cycling race and the Bay to Breakers running event. That followed a seven-year stint working for the NBA. We never had any luck getting an audience with the previous WTC regime, even when writing stories on the growth of triathlon and Ironman in 2007 for The New Year Times and SportsBusiness Journal. So we were pleasantly surprised when Messick accepted our offer to have an hour-long conversation about all things Ironman at the WTC offices in Tampa on Tuesday. 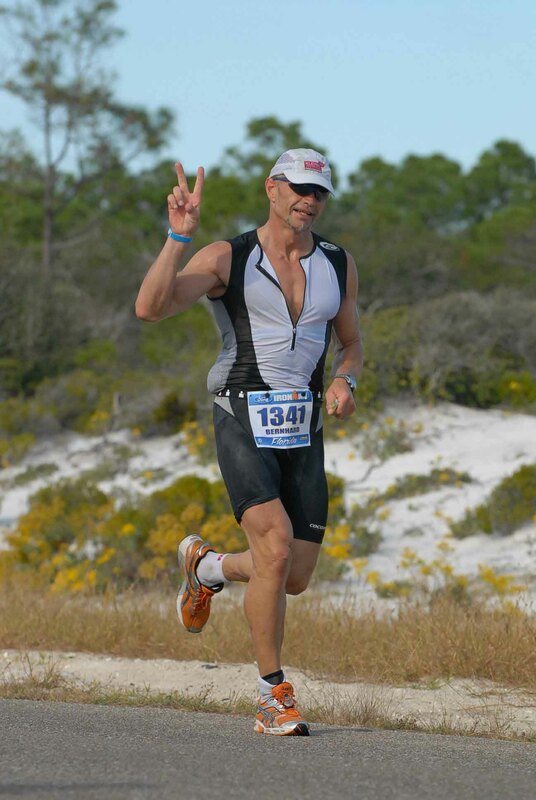 EnduranceSportsFlorida: Were you surprised at how disliked WTC was among triathletes? 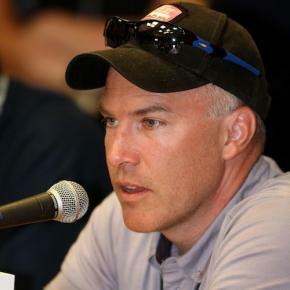 Andrew Messick:No, because in my former life I was a lousy age grouper (from 2004-2006) when I was racing a lot. I had a clear point of view of how WTC was perceived even then. I did Ironman Canada and Ironman Lake Placid and those were great races, races that had soul and great community and people who were happy you were there. Even then people didn’t like WTC and it wasn’t clear to me exactly why, but that perception existed and there was the usual things you would see on message boards. “WTC didn’t care about athletes,” the usual stuff. It’s been there a long time and I knew it would be one of those things that would require effort, energy, and attention. It’s frustrating to a lot of people in this organization. People don’t acknowledge how much work and effort goes into the athlete experience. It’s easy for people to just assume that all the stuff that happens at a race – registration working, volunteers are there, having swim/bike/run courses that are safe – that all of that miraculously happens. It’s WTC people who do all that. I don’t think WTC as a company ever spent very much time focused on talking to athletes. The folks that used to run the place didn’t feel like they had any obligation to communicate to their customers, which I don’t agree with. I would much rather communicate and have disagreements now and then than never say anything, which is kind of what used to happen. There was a culture around here of you do what you think is right, you announce it, but you don’t explain why and eventually people will get over it. That’s not the way I was taught to do things. 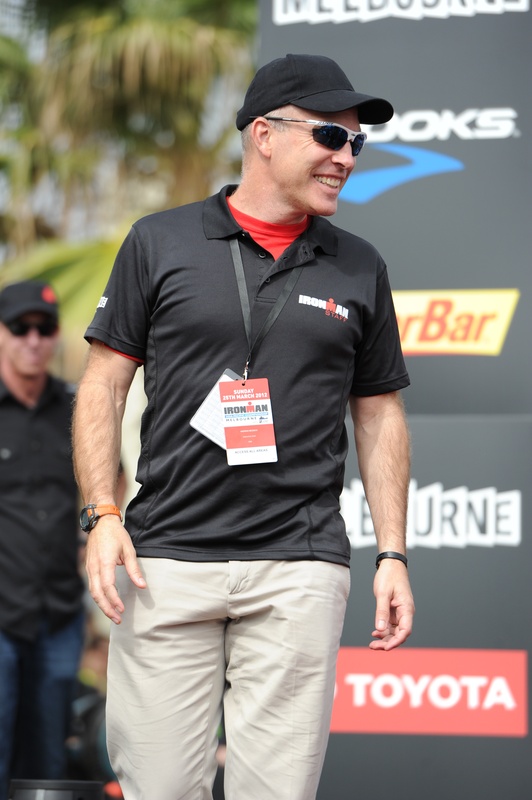 Messick at Ironman Melbourne last month (Photo courtesy http://www.FinisherPix.com). ESF: How much progress have you made on that front? AM: We’re getting there. Whenever you’re running anything, you’re faced with lots of decisions and you have to choose. Either we’re going to keep the way we do Kona qualification the same or we’re not and that’s a decision. Keeping it the way it is perpetuates the things that don’t work and it also perpetuates the things that do work. Changing it introduces new ideas and thinking but also upsets the status quo. No matter what you do there’s a choice involved. We’ve got super-smart, super-motivated athletes who do our races and there’s a super high level of engagement. If you explain what you’re trying to do and why you made the choices you did, by and large people understand. Not everyone will agree with you, but at least people understand why you did it and they don’t think you made a decision in a vacuum or made a decision without consulting any of the other shareholders and stakeholders. Understanding why you did something is very important and I don’t think we did a very good job historically of doing that. We’d say, here’s the new procedure and that’s it. ESF: You’ve talked about expanding the Ironman customer base from 66,000 athletes annually to 150,000, and also bringing more races into the mix. Are you suggesting getting involved in races of shorter distances? AM: We’re really good as an organization at producing – not necessarily destination races – but sort of the key races on athletes’ calendars. That’s what we’re good at. I was in Galveston (Texas for the Ironman 70.3) this past weekend and Melbourne (Australia) the weekend before. Those are great events, expensive, highly produced events that are the key races for our athletes that year. And we have a cost structure that is really designed to be able to deliver those kinds of events. I don’t think we have a cost structure that’s designed to deliver the Olympic distance. You can charge a premium for fulls, for 70.3s. It’s harder to charge a premium for Olympic distance events. Athletes want an event that’s at a certain price point and the Olympic distance race that’s more than $100 – there’s a lot of resistance to that. One of the things the 5150 experience taught us last year is that if you’re going to charge a lot more than $100, what is the additional value added? And if you can’t provide that, it’s a hard sell. So we’re in the process of trying to figure out if we can deliver the level of service of a 70.3 and an Ironman at an Olympic distance race at a price point that works for our consumers. ESF: So this is the year to figure that out? AM: Yeah. We’re a premium brand. BMWs struggle to hit Volkswagen price points. There’s nothing wrong with Volkswagens. I love ‘em; I’ve driven them my whole life. But you have to have a Volkswagen business system to make Volkswagens. We have a BMW business system to make BMWs. 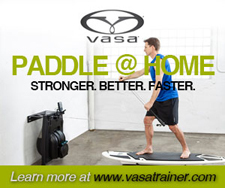 Ironman athletes haven't always been at peace with WTC. ESF: You have Iron Girl and IronKids. Are they in the same category as 5150 or is that a different conversation? AM: That’s a different conversation. Iron Girl and IronKids are very different animals. With Iron Kids, we have a good partnership with HyVee, and HyVee supports our Midwestern Iron Kids series. We have a strong skew to the midwest. Most of our non-Hyvee Iron Kids races are attached to existing events. We leverage the fact that we’ve got a 70.3 in Boulder and we have a staff, team and infrastructure so there’s a ton of things we don’t have to replicate. Without a partner like HyVee, it would be pretty hard for us to have separate standalone IronKids events because it’s a low price point. With Iron Girl, we’ve got 16 North American events this year and we have a separate operational marketing and management team and they live the Iron Girl brand and that’s different from beginning to end in terms of what we deliver and how. ESF: There seemed to be a point last year where Ironman was chasing every popular endurance trend such as half marathons and mud runs with Primal Challenge, which you canceled before it started. Was there a concern that you were getting away from your core business? AM: I think that we may have lost sight a little bit of what we do and what we’re uniquely good at. We’re uniquely good at long distance triathlon, creating these very hard, very important, life-changing events for our athletes and I worry that by focusing on other stuff, we run the risk of not being as good as we need to at our bread and butter, the core of our business. We don’t have as many 5150s this year. We don’t have Primal Challenge. We don’t have our own timing business anymore. There’s a whole series of things we were getting into that in my mind took our eye off achieving real excellence at the things we need to be excellent at and that’s creating these extraordinary athlete experiences. Ironman Canada and Ironman Lake Placid changed my life. As an age grouper, training for those events, being part of the Ironman community, and crossing that finish line – it indelibly marked me like it does for a lot of our athletes. This organization is fiercely protective of that experience for our athletes and we need to make sure we stay laser focused on creating great races and treating our athletes the way they need to be treated and making sure the journey of our athletes is as good as it can be. To be that focused you have to be pretty systematic about getting rid of distractions. We had a lot of distractions and still have a lot of distractions. But we have fewer than we had nine months ago and we’ll have fewer a year from now. ESF: What if you purchased a race registration site? Would that be a distraction or would that fit with your business model? AM: That’s a big question for us. Active has been a great partner of ours for a long time. But at the same time there’s lots of other registration solutions out there and it’s clear we need to have more versatility in terms of what happens when athletes sign up and the ease of athlete sign-up and how we manage these incredible spikes in demand. It’s a complex set of choices we’re trying to figure out right now in terms of the whole race registration process. We need to have a better solution for our athletes and figure out what we’re going to do to handle demand. Melbourne sold out in less than five minutes a week ago. We’ve always had this situation for our races. Ironman Florida sold out in 11 minutes, Arizona in six or seven minutes. Our full Ironman races are selling out really quickly. Somewhere in the next year is a real serious conversation about what’s the fairest thing for our athletes. Is it at noon Eastern Time, Active registration opens and the fastest guys on the mouse get it? That’s fair if you live in the U.S. maybe but if you live in Australia and it’s three in the morning, I’m not sure that’s fair. I’m not sure it’s fair for people who are at work. There’s a whole question of how you handle demand and our registration partner is an important part of that. Is it a sign-up, a lottery, first in, best-dressed, which is how we do it today? Should there be an advantage to those who did it last year, to those who do more races with us? There’s a whole bunch of ways you can go and so we need to be pretty thoughtful in the next year about how that whole thing comes together. ESF: Could you go the route of buying a system like Competitor did? AM: The RaceIt system that Competitor has is a really good one. It’s designed for race registration and a lot of the problems we have. The system isn’t fully built out yet and it hasn’t been fully beta tested for all this stuff, for the unique things we have. To the best of my knowledge there aren’t any other systems, with the exception of concert systems, that have the kind of super high immediate demand. Trying to register thousands of athletes in three or four minutes creates a unique set of challenges. 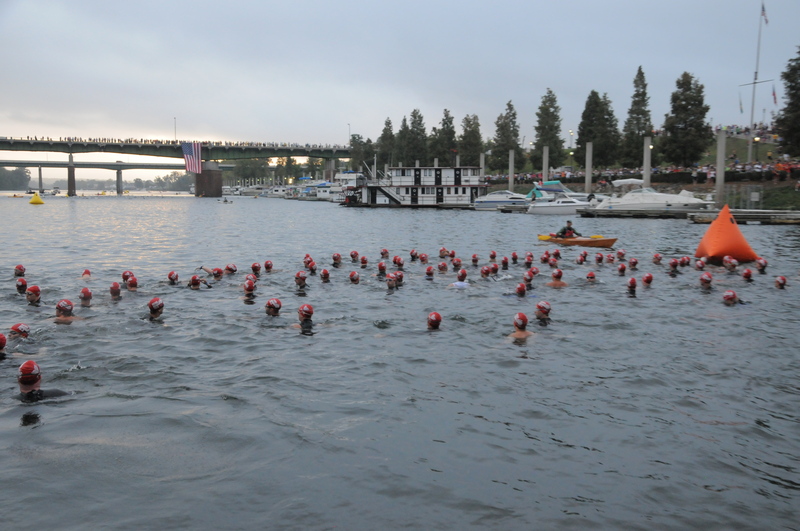 The always dramatic Ironman swim start. Ready for increased television exposure? ESF: What was your own Ironman experience like? AM: I did Ironman Canada in 2005 (time of 12:34) and Lake Placid in 2006 (11:07). I did Canada with a broken arm, which is not recommended and completely blew up on the run. I did the Boston Marathon in 3:09 in 2006 and I don’t think I did a single mile at Canada in less than 11 minutes. I started cramping coming off Yellow Lake (bike course) and my Ironman Canada run was 5:24. I’d walk 100 yards, jog 100 yards, just five and a half hours of severe pain. I had crashed my bike five days before in Central Park on my last tune-up ride. Someone stepped out in front of me, I went over the handlebars and had a radial head fracture in my elbow. The doctor said there was no risk of it getting worse unless I crashed again. So it was just a pain management exercise. I had played rugby and wore a rugby mouthpiece during the swim, which was very painful. What I hadn’t planed for was that I usually reach for bottles with my right arm (on the bike), and couldn’t do so because it was broke. I could only reach with my left, which screwed up my nutrition and I started cramping. That was my first Ironman experience. Lake Placid was the makeup race. ESF: You spent seven years (2000-2007) working for the NBA, which perhaps more than any other league leveraged its brand around superstars. How important is it to build bigger names in triathlon? AM: Triathlon is unique in that its beating heart isn’t pro athletes; it’s age groupers. That makes it different than most other sports. When you go to an NBA game, you’re going to see Kobe Bryant or LeBron James or back in the day Michael, Magic, Larry, or Dr. J. People sign up for Ironman Lake Placid to do Ironman Lake Placid; it’s their journey. That said, there’s a huge opportunity for us to use pro athletes to talk more broadly about our sport, to increase awareness of our sport, to talk about the benefits, the things that triathlon uniquely delivers in terms of quality of life, setting goals. All of those are broader messages and benefits that our lifestyle promotes. Our pros are super smart, articulate, and motivated and by and large there hasn’t been the kind of connection between the company and professional athletes that you’d like. One of the big insights for me was seeing how disconnected pro athletes are from the rest of the business compared to cycling, running, or the NBA. It’s a huge untapped opportunity and I think we can do much better with our pros to build better relationships, to have them be stronger, more powerful advocates for our races and the sport and for us in return, to give them a better platform to make a living and attract sponsors. There’s an integration that hasn’t occurred, but we’re making progress and it will take some time. That was one of my bigger surprises, how much professional athletes weren’t integrated into what we do. ESF: So how do you integrate them more into the company? AM: When we go and pitch a sponsorship to Company X, we don’t do anything with our professionals. We don’t introduce our pro athletes to companies; we should. When we’re pitching an automotive company, we don’t say we have four pro athletes you should put under contract, and we’ll guarantee that you have six days a year for athletes A, B, or C. They can go to the regional dealer meeting in Tucson and talk to a group of your dealers about setting goals, working toward objectives, and telling their stories. Those types of things are really powerful and yet we’ve never viewed professional athletes as an asset. By doing that, you can introduce your athletes to important companies and they become ambassadors for you. So there’s really low hanging fruit there that we’re only now becoming organized enough to capture. ESF: Do you need a dominant performer like Mark Allen or Dave Scott to emerge? AM: Stars help in every sport and having people who have the ability and the charisma to take a sport off the sports page – or in our case to take the sport out of the endemic media – and get broader distribution is helpful. If you look at what Tiger Woods did for golf or what Magic, Michael and those guys did for basketball, those are transformative personalities. Look at Lance Armstrong and cycling in terms of television ratings, interest in the sport, and bikes sold. No question it’s helpful. ESF: Speaking of Lance Armstrong, if he’s only a top 10 finisher and not a contender in Ironman races, does that lessen the impact he has in triathlon? AM: If you’d told anybody two months ago that Lance Armstrong at the age of 40 will go pro, finish top 10 in his first two (70.3) races and go under 3:55 in both of them, people would have said you’re out of your mind. Or if you flip-flopped Panama and Galveston and he went seventh in his first race and second in his second, we’re talking about an entirely different story. He came off the bike first in Galveston, was fourth until mile 12 (of the run) and like a lot of people who race, he had a bad last mile. It happens. It’s going to be exciting to see what happens, in Haines City (Fla.) and Nice and later in the year. It’s a great opportunity to get people focused on the sport of triathlon, people who wouldn’t ordinary be interested. 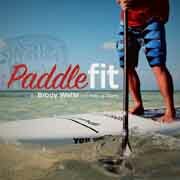 ESF: People love the NBC Kona package and watch Ironman races online. Obviously there are logistical challenges to broadcasting triathlon on television. But in 2012 shouldn’t there be live coverage of Ironman events somewhere on TV? AM: We won’t have live television in 2012. We’re live online everywhere in the world. Our production and product is getting better. We’re seeing increases in traffic and viewership. We had more than 250,000 watching (Galveston 70.3) on Sunday and there are a lot of TV shows that don’t get that many watching. Whether it will be on TV or not, that’s hard. From a production/logistical perspective, it’s super challenging and we need a pretty compelling reason to do it. The races are long. You need big windows and you need to be on a network that has broad distribution and that’s not easy. ESF: Is there anything in your NBC contract that precludes it? AM: No. Between Universal Sports and NBC, contractually we’ve got the right to do all kinds of stuff. Whether NBC is going to create a multi-hour television window for us, I know the answer to that. ESF: What about any of its sister networks? AM: It’s a conversation but not one for 2012. For 2012, we’ll continue to have a strong relationship. Universal Sports will broadcast recaps of our races. Kona will be on NBC and we will have a live package that will get better over time that will largely be focused on our site (Ironman.com), not UniversalSports.com. 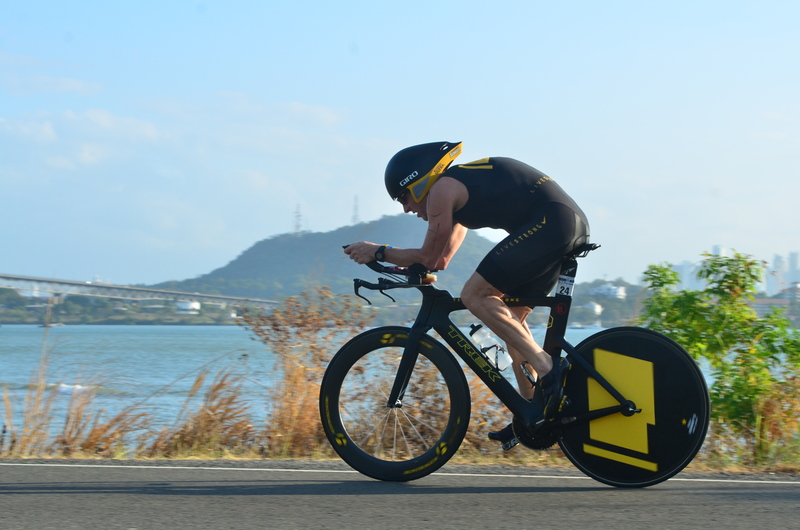 ESF: How important is it for Ironman to get more mainstream media coverage? AM: I think it’s really important and what we have to do is find stories that mainstream media finds compelling enough to cover and without stars it’s really hard. There’s a lot of competition for writers’ time and column inches and you need to have a compelling story to tell and we’re trying every day to do that. ESF: Can you answer the off-asked trademark question regarding Ironman and Iron Man? Is it simply that WTC owns the trademark as it applies to triathlon and Marvel owns everything else? AM: It’s more complex than that. We’ve got areas where we can play and they can play. There are things we can and can’t do and things they can and can’t do. It works and has been heavily negotiated over many years. 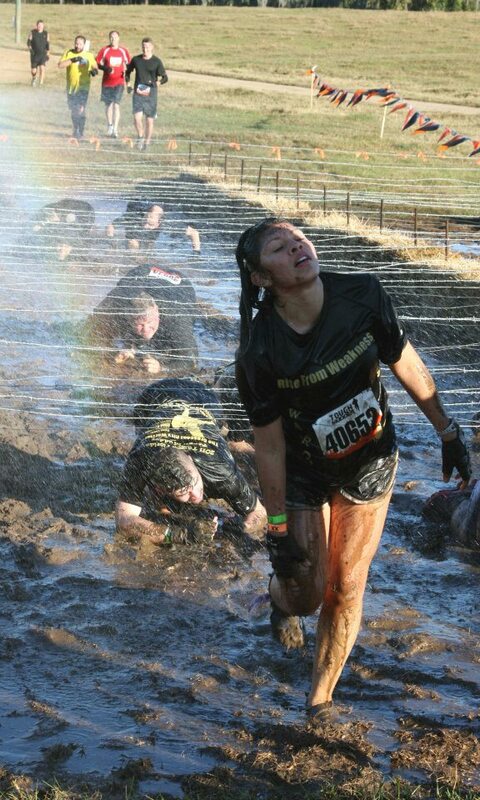 Tough Mudder: Competitor or Complementary? ESF: Obstacle races such as Tough Mudder and Spartan Race are drawing huge numbers of people looking for a life-changing accomplishment. Do you view them as competition? AM: I don’t think so. I haven’t been presented with any evidence that suggests someone wakes up and says, “I’m going to do Tough Mudder or an Ironman 70.3.” If anything I think it’s good for us. Ultimately, the more people who are out racing and competing in events – and I feel the same way about the Rock ‘N Roll marathon series – the more people eventually will move into our wheelhouse. The real base of the pyramid is signing up for events, whether it’s a local 5K or Tough Mudder. Getting people into the process of signing up and preparing for an event, doing a race and finishing, puts people on the way. The broader the base of participants, the broader the base who find their way to our events. We’re at the very top of the pyramid in that, if you’re a marathoner, someone doing Gran Fondos, or a competitive swimmer, at some point, Ironman is in the back of your head. If you’ve had a transformational life experience – you’ve had a heart attack and recovered or lost 50 pounds and you attribute it to achieving your goal – even if it’s only a 5K, you start thinking of your next goal and we’re part of that. ESF: You’re a Southern California guy. Triathlon has strong ties to that region. There’s no longer anything tying Ironman to the Tampa Bay area. Do you plan to stay here long term? AM: We’re about to expand to the other side of this floor and will have the whole floor. There’s a lot of other things to be focusing on right now. We’ve been in Tampa a long time; the staff is from Tampa and I have no plans to leave Tampa. I sold the house in Los Angeles. It’s been a really busy eight months and it will be a really busy next year. When I think of all the things we have to do and priorities and all the stuff that needs to happen, there’s a ton of mission critical stuff we have to tackle. That’s not mission critical. We’re fine here and have no plans to move.